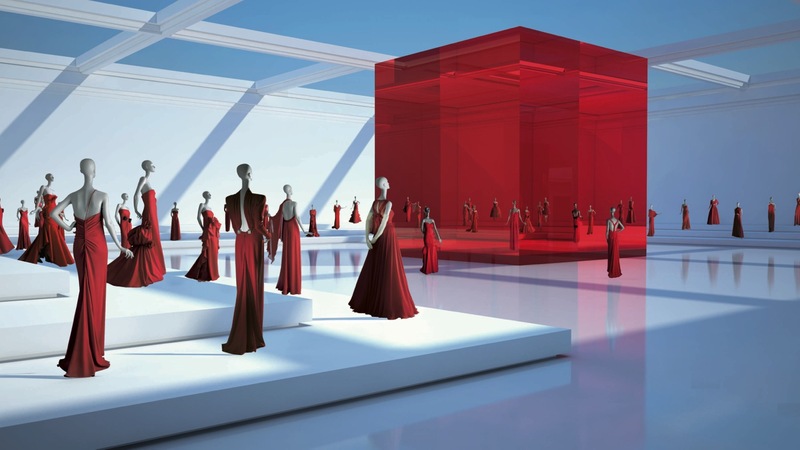 Valentino Garavani and Giancarlo Giammetti Announce Launch of Valentino Garavani Virtual Museum. An unprecedented digital fashion experience showcase five decades of fashion history. Valentino Garavani and Giancarlo Giammetti announce the launch of the Valentino Garavani Virtual Museum. 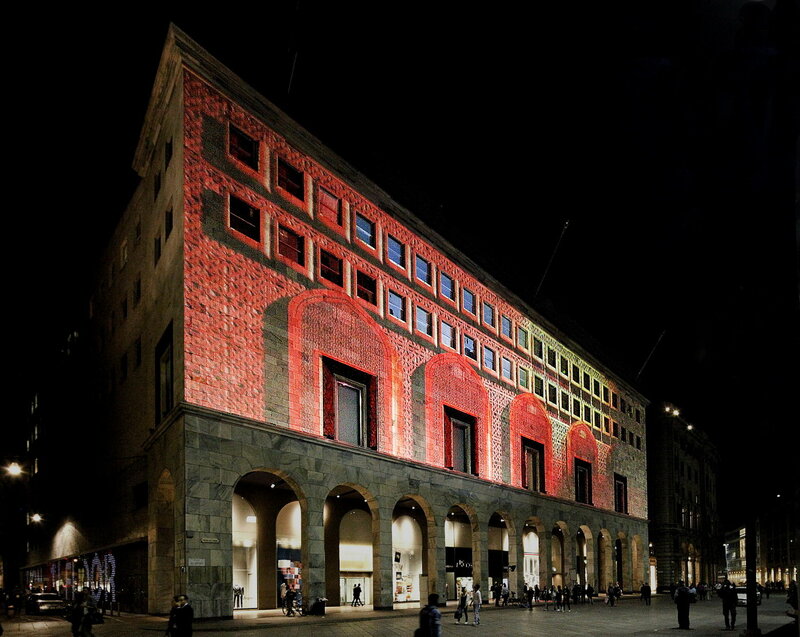 Mr. Garavani is the first international fashion designer to curate a permanent exhibition of his work in a digital form. The virtual museum is a downloadable desktop application connected to an online database that uses a real time 3D technology to create an immersive environment. 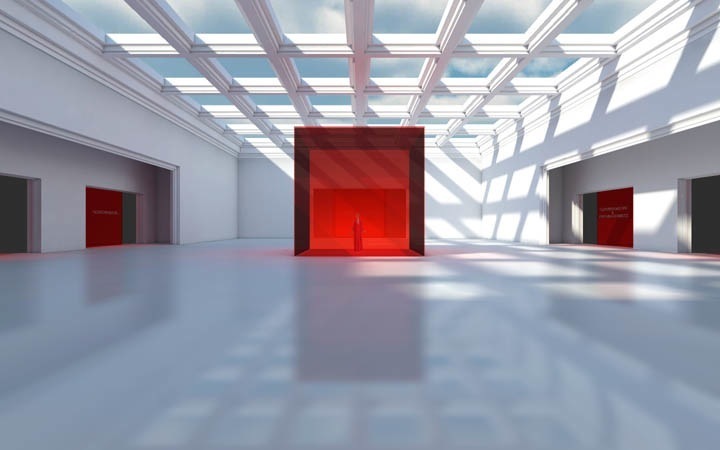 Content is arranged in a museum layout where users explore the different galleries and wings covering what would be over 10,000 square meters in an actual museum. Over 300 dresses from the Valentino Garavani archive were captured for the museum and are organized by theme. Also, content such as sketches, illustrations, advertising campaigns, editorials and red carpet as well as event photos provide a story to go with each dress. Special events and exhibitions from the pair’s history are celebrated with photos and video – from the 1968 White Collection to the 2011 White Fairy Tale Love Ball. In addition, the application features a media library which catalogues the over 5000 images including dresses, photos, drawings and 95 fashion show videos. As of today, the website valentino-garavani-archives.org is officially live. The site features a short video showing highlights from the museum and allows users to register their email addresses for updates on the launch. A social media campaign including Facebook, Twitter and YouTube is also live today previewing assets from the museum leading up to the release of the application. Through these social media platforms, museum users, fans and enthusiasts will be able to comment on and share the content of the museum. On December 5th, Mr. Garavani and Mr. Giammetti will host a press conference at 11am in NYC to reveal the full contents of the museum application. The press conference will be livestreamed for a global audience on YouTube with the technical support of Google. The Valentino Garavani Virtual Museum application will then become immediately downloadable to all users worldwide from the valentino-garavani-archives.org website. The launch will be celebrated on December 7th, with a party at the IAC HQ in New York City. 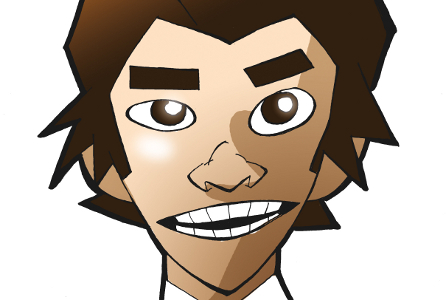 The Valentino Garavani Virtual Museum has been realized with the support of Valentino SpA. 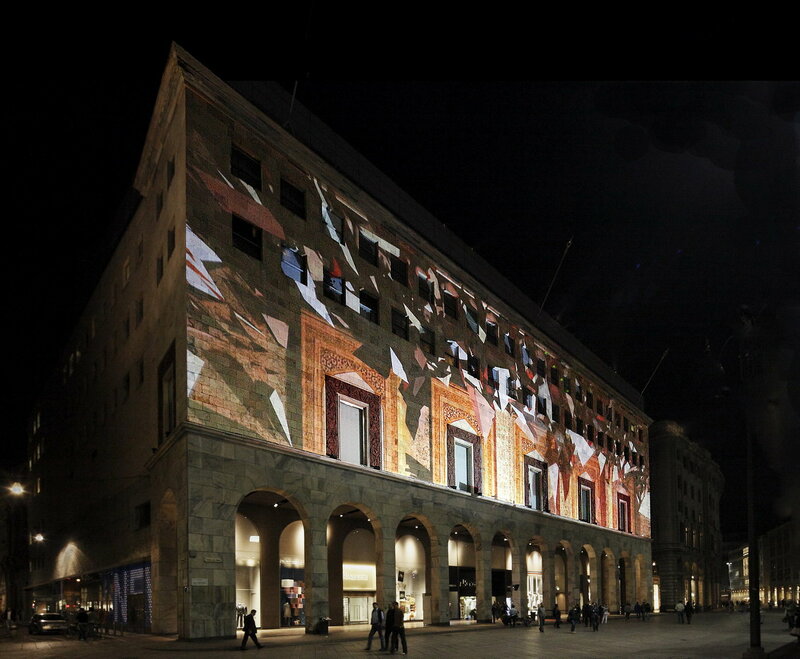 Until October 24 the palace of the store in Piazza Duomo is as imaginative 3D projections. 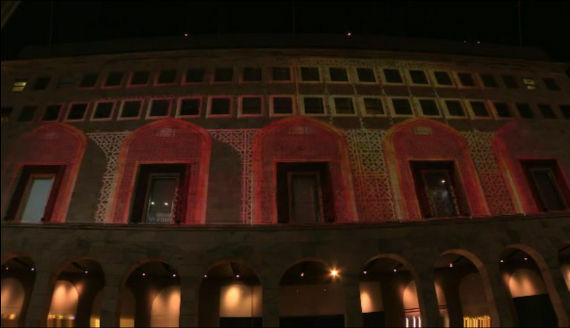 Rhythmic play of light, graphics that make up and then dissolve and give way to images of typical Indian design and architecture. 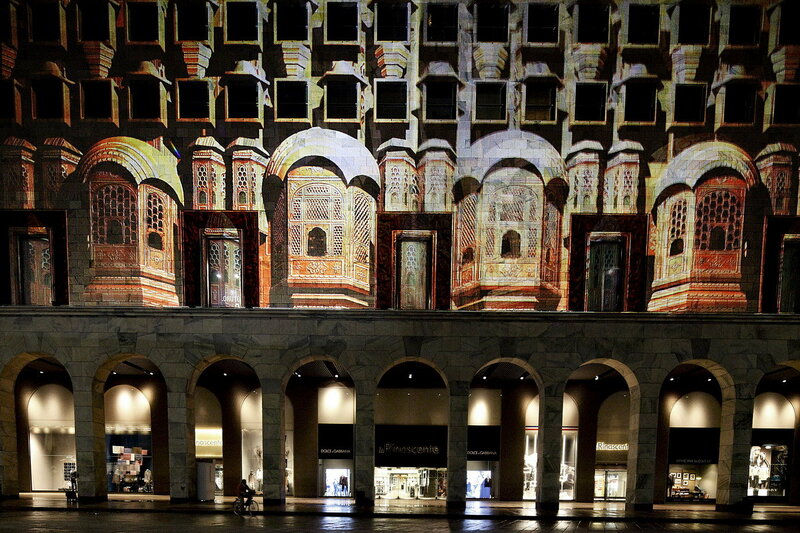 Fascinating figures literally takeshape on the front of the Rinascente in Piazza Duomo. The occasion is the launch of the new floor dedicated to the man. The new floor will host designer brands together with a selection of contemporary brands and premium denim, but also a smart casual area and a prestigious shoes department. Vittorio Radice, Rinascente CEO, chose the architects of Mumbai Studio, founded in 1995 by Bijoy Jain and awarded at the Biennale di Architettura in 2010 with a special mention for the outstanding creativity of their installation artwork. The Indian studio’s philosophy is based on organic sustainability, with the use of local materials, non-industrial building techniques which respect local characteristics and most of all the involvement of all those who are concerned – including the workers – in the creative process, enhancing free circulation of ideas and a meaningful exchange of knowledge. The first floor project aims to develop a personal and not anonymous approach to shopping, thanks to an elegant but also welcoming lay out, which creates a certain ambience made up both of sophisticated vintage furniture and warm, snug materials which are appreciated for the beauty of their details.